Michael T. Holmes serves as Chief Operating Officer (COO) for INROADS, Inc. Mr. Holmes leads and manages a comprehensive array of services and programs for INROADS to establish the proper operational controls, administrative and reporting procedures, staff and systems necessary to grow the organization, ensure financial strength and maintain operational efficiency. Michael has a strong commitment to development and a deep understanding of the INROADS process. From 1985 to 2001, Mr. Holmes served INROADS as Executive Vice President, National Accounts Manager and Managing Director of Fairfield-Westchester Counties, gaining significant operations management experience and demonstrating significant leadership, stewardship, business and relationship development skills. The two regions he oversaw in his former role at INROADS — Northeast and New England – are, to date, two of INROADS’ most successful and critical. In addition to his INROADS experience, Mr. Holmes’ professional background spans academia and the manufacturing, financial and professional services industries. Most recently, Mr. Holmes served as Director of Global Talent Acquisition for Terex Corporation, a diversified global manufacturer, where he was responsible for leveraging recruiting strategies creatively, utilizing social media, as well as trend and data analysis. 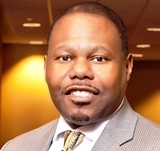 Prior to that, he initiated strategies to increase diversity recruiting efforts as Director, Strategic Talent Management & Global Diversity for Pitney Bowes, and as Vice President, Diversity Sourcing Manager for Citi Group. Mr. Holmes holds a Bachelor of Arts degree from College of the Holy Cross.